Mushroom caps get stuffed with creamy and delicious mixture of onions, garlic, chopped mushroom stems, and sausage! These are a must make for your next party! We recently went to a get together and I was introduced to these AMAZING sausage stuffed mushrooms. Ok so I am going to be honest with you on this one. I am not a huge mushroom fan. I like them if they are cooked with something but I wouldn’t eat them by themselves. I decided to try one at the party and I couldn’t get enough of them!! 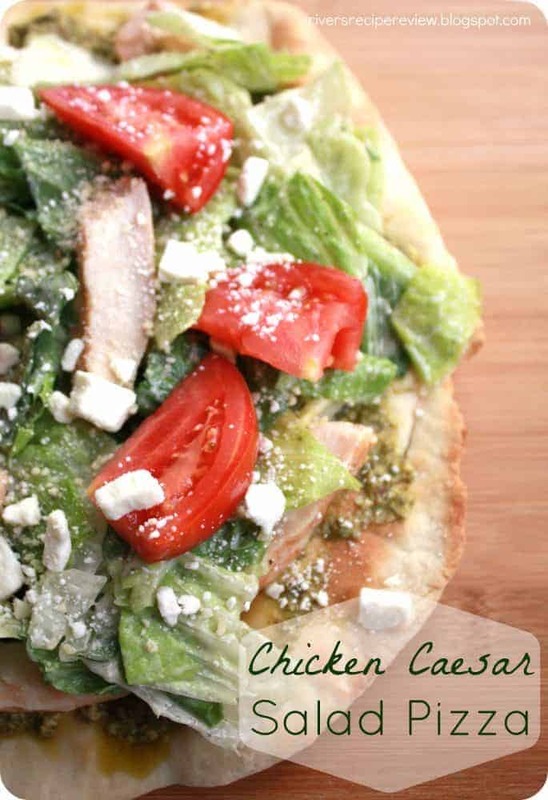 I had to share the recipe with you today! The flavor is out of this world good. And they are the perfect size to just pop into your mouth. The mushrooms seem like they are meant to be stuffed because the stems just pop off so easily. And what better way to stuff a mushroom than with cheesy creamy goodness? The mixture that you make to stuff these little mushrooms is amazing. You use the stems from the mushrooms combined with onions, garlic, sausage, cream cheese, and grated parmesan cheese. The flavor is seriously to die for! I couldn’t even believe how much I loved them! You have to make them for your next party! They will be a huge hit! Pop off the stems to the mushrooms and chop them finely. Set aside. In a medium skillet brown the sausage and drain. Set aside to cool. In the same skillet add the olive oil, onion, garlic, and chopped mushroom stems. Sauté for about 3 minutes or until tender. Set aside to cool. In a medium sized bowl add cream cheese and egg yolk. Stir together with parmesan cheese and parsley. Add cooled sausage and onion mixture and combine until incorporated. Stuff each mushroom with the mixture making a small mound on the top. Place on a baking sheet and bake mushrooms at 350 degrees for 25 minutes until they are slightly brown on the top. I made these on Thanksgiving and they were a big hit!! I actually made the filling the day before and then microwaved for a bit when ready to stuff to make it easier. My sis in law was upset because they were all gone by the time she finished getting ready! Thank you for the recipe! I made these today for Mother’s Day and they were devoured immediately. My daughter who hates mushrooms was convinced to try one. She loved it and went back for more. They were outstanding, and my husband who is a chef also thought they were terrific! Making these for every party, and they were super easy to make. These are amazing! They are cheesy, slightly spicy (if using hot sausage), juicy and delicious! 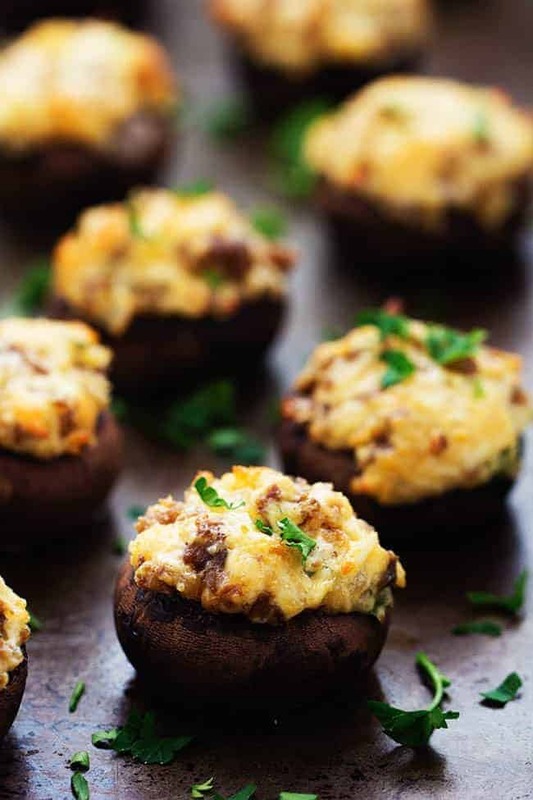 I was hesitant to try this recipe after scouring the internet for a good sausage stuffed mushroom and was so glad I tried this one. The flavors just go so well together. Thank you!